I stand corrected. Or rather, I sit. At a table that could also have come from a food factory…. I ate there on opening night, and while there were a few slip-ups from a largely inexperienced and pubescent staff, everything was fixed up courteously and it was a pleasant evening. 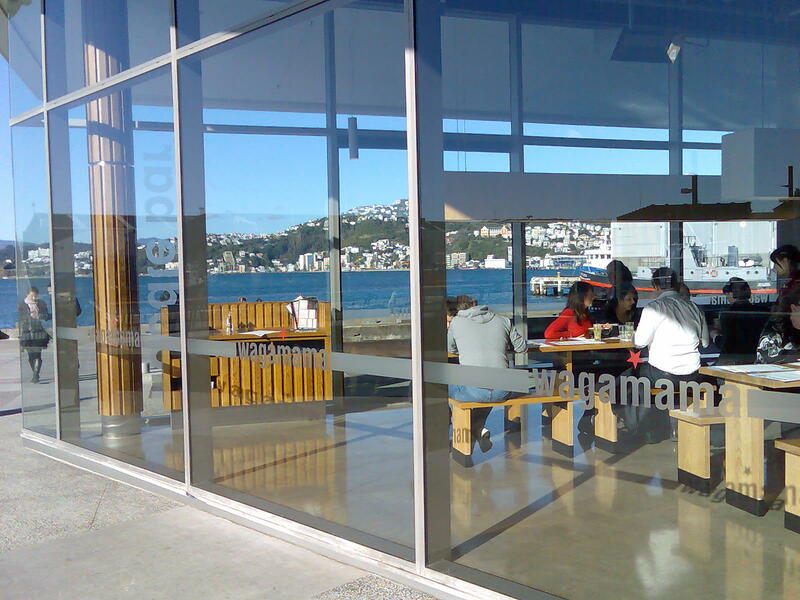 Food-wise I wouldn’t rate it above cheaper casual Japanese restaurants in the city (Arashi, Hede, Miyabi etc) so I wouldn’t make the walk out from Te Aro for the food alone, but the setting is magnificent and it would be fantastic place on a sunny summer evening. 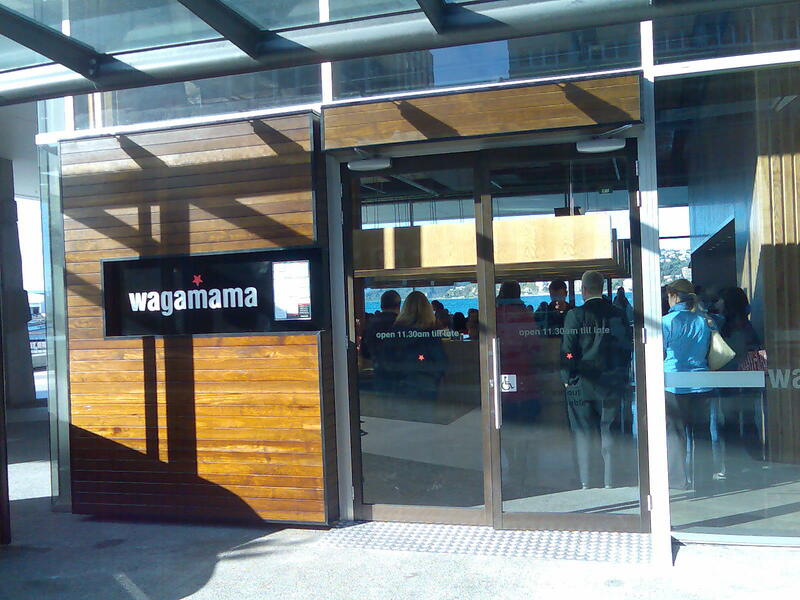 I remember going to Wagamama’s in Bloomsbury in the early 90’s. It was a bit of an architectural mecca. Designed by David Chipperfield, the rumour was that he had followed a philosophy that there should be no more than two materials meeting at a junction. We looked and looked and tried to find anywhere where this situation occured and couldn’t find any. We marvelled at the design and the rigour of it all. Imagine thinking about every single junction in a restaurant environment. Fantastic. They need to sort their dessert end of the dining experience out before it gets amongst the rumour mill that it just doesn’t cut it not having exactly what is on the menu, or not having it at all. And then trying to charge a reee-diculous price for anorexic portion served up. The Covent Garden branch reminded me a lot of a larger, lit-up Good Luck bar. Still had an extremely funky atmosphere, even without windows! I like Wagamama. I could do with some noodles right now. What I like is that its an affordable restaurant in a 5-star location. Quite often these sorts of spots are taken up by the white linen crowd who charge the GDB of a small African nation for 3 courses and an espresso.